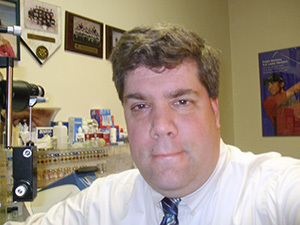 Dr. Foti grew up in Massachussetts and attended Malden Catholic High School. He then went onto Salem State with duel majors of Biology and Chemistry. Dr. Foti then attended New England College of Optometry in downtown Boston, and graduated in the top of his class. He has been married for over twenty five years, has three children and lives in Stoneham. He established this practice about twenty years ago to fill a void in family eyecare where the patients were the top prioriety. Dr. Foti's hobbies include snowmobiling, skiing, golf and his family.